BPTP Pedestal Floors are a low-rise residential option best for smart residents who don’t want the ‘shared space’ approach of apartment building developments. 2, 3 & 4 BHK homes are spacious, well laid out floors, with just one unit on each floor. This high class residential project of independent floors in Sector 70A, Gurgaon has a feeling of generousness with tree-lined boulevards and green front yards. The independent floors are set back from the street leaving a broad walkway that generates a feeling of privacy and safety. In these stilt floors ground level are reserved for parking, while the first, second floors and third floors get large balconies and their own private terraces. The internal designs are well appointed and all the homes have fully finished modular kitchens. For the individual looking for independence and uniqueness without going to the cost of a villa, BPTP Pedestal Floors offer elegance and refined living in a peaceful, organized neighborhood. 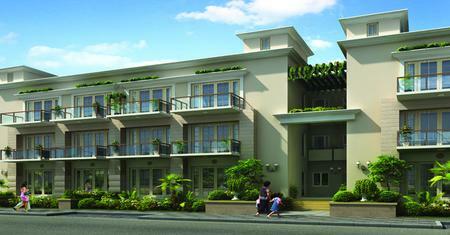 At BPTP Pedestal, perfect, well-planned luxury comes refined as exclusive units. This is an environment for superior living, better detailing, the premium of addresses, decorated with the amenities of modern life. Located in Sector 70A, Gurgaon nearby proposed metro station, retail stores, restaurants, educational institutions, medical facilities, practically everything is a stone throw away. This project offers comfortable floors with global values, perfect premium amenities and amenities. BPTP Group gives an amazing living experience that will positively enthrall clients. This residential development also has Eco-friendly features and the project confirms modern living with facilities like security, round the clock water supply, electricity, power back up, and other basic services that is confident to win the hearts of all home seekers.